This estate home located in Quail West Country Club is spread over almost 4, 000 square feet on a split floor plan, there are three bedrooms plus a den, and 4 and two half bathrooms featured in this nicely finished home. Each area of the property contains upgrades only fitting of a true luxury property, including a large foyer that gives way to volume ceilings with detailed crown moldings, custom blinds, designer tile flooring set on a diagonal, an office with custom built-ins, a gourmet kitchen with granite countertops and a center island, a fireplace, pre-wiring for surround sound, a master suite complete with his and her custom closets, a 3-car garage, and much more. The exterior of the home features an expansive lanai complete with a large pool and spa, a summer kitchen, plenty of room for outdoor entertainment, lush landscaping, and golf course views. 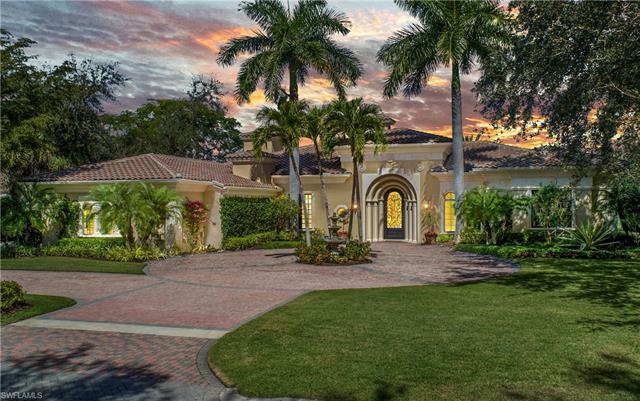 This is an estate that offers the very finest living experience in southwest Florida in an exclusive community.